An executive business summary must be included in the plan to explain the entire idea and concept. Lenders and investors will probably make their mind whether to invest money in your plan or not based on this executive summary. 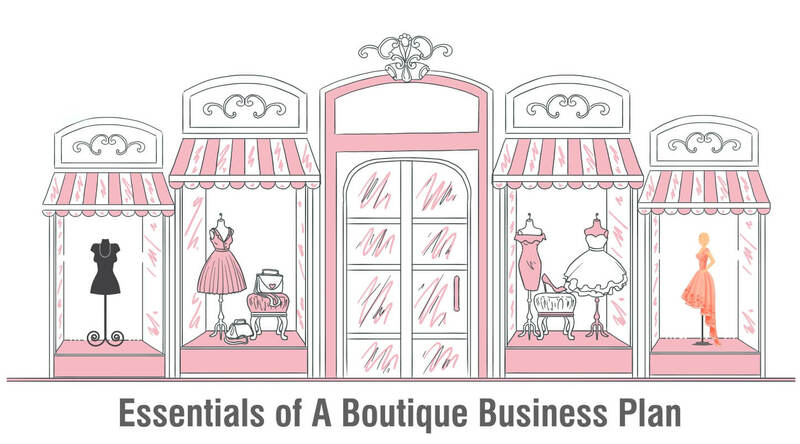 Summarize your boutique’s business plan and place it at the start of the entire plan as an executive summary. If you are seeking financing with the business plan, include the amount that you are seeking within this summary and describe how the funds will be utilized and how soon the funds will be repaid. Your product line is one of the most crucial aspects of your business. Provide a list of your boutique’s products. Detail your products’ unique qualities and explain why the products benefit your customers. Explain where you will obtain your boutique’s clothing from and include the costs of your vendors and suppliers. You should align your niche to the type of product you understand and have knowledge about and also consider what your target group expects. Find out what you are interested in and research that niche domain completely. Explain your boutique’s target market or the customers that you intend to capture. You should be completely aware of your competition. Carry out a research about the other boutiques already present in the area where you want to start yours. Categorize the competitors into direct and indirect competitors, with direct competitors being other local boutiques in your area and indirect being department stores and big locations. Describe the customer demographic and their locations. Explain your boutique’s strengths and weaknesses as compared to the competition and explain the strategies your boutique will use to achieve a competitive edge. Also, before finding a location, describe the amount of space your business will require. Introduce your clothing boutique with a general business description. boutique’s business entity, such as a sole proprietorship or partnership, along with the boutique’s list of owners, their contact information and the boutique’s contact information. Decide if you want to be a part of a franchise or have an independent clothing line. As a part of a franchise, your boutique will operate as a part of a bigger group. Since you’ll be a part of a franchise, the franchisor would provide support for setting up and operating the branch. You can also establish and operate as an independent clothing boutique and clothing line in your locality. Finance is the most important part of any business. You should aim to be as specific as you can when it comes to your finance, which includes describing your financial strategy and how it will support your projected growth. Create your clothing boutique’s financial statements. Include a personal financial statement, balance sheet, cash flow analysis, and income statement. Estimate your liquid fund requirements to start your business. Before you actually start running the boutique, you must purchase all the products, material and equipment required running the business. List down the services and what raw materials and equipment are required. Whether you’re borrowing money through a traditional bank loan or have teamed up with investors, you need to figure out how much money you need to get started. Research the paths for each and come to a decision about which one is suitable for you. Once you start the boutique and have a unique collection of clothes ready, the next step is to get the customers. Having a good marketing plan will solve this problem. Your plan should include how you intend to show your target market that you’ve got something they’re looking for. You could mail flyers to businesses or residences in the zip code where your store is located, as well as to surrounding zip codes; and also put ads in local newspapers. Opening a clothing boutique is a unique and rewarding experience once you gather all the necessary information about how to start a boutique. Further, starting a business on your own can be exhilarating and having a business plan in place helps make the process additionally easier and smoother. Writing a business plan is the first step you will take in making your dream a reality. While writing a business plan, the points discussed above are some of the conventional elements that need to be included. However, it depends on your requirement which will decide what you choose to include while preparing a business plan. Before writing the business plan, be sure to have a business plan checklist handy so you know that you’ve got all the bases covered. If you still have questions and need more guidance then contact deAsra, we will help you through the process of starting your business.